This incredible photo shows a police officer on a Harley-Davidson transporting a prisoner in a mobile holding cell. 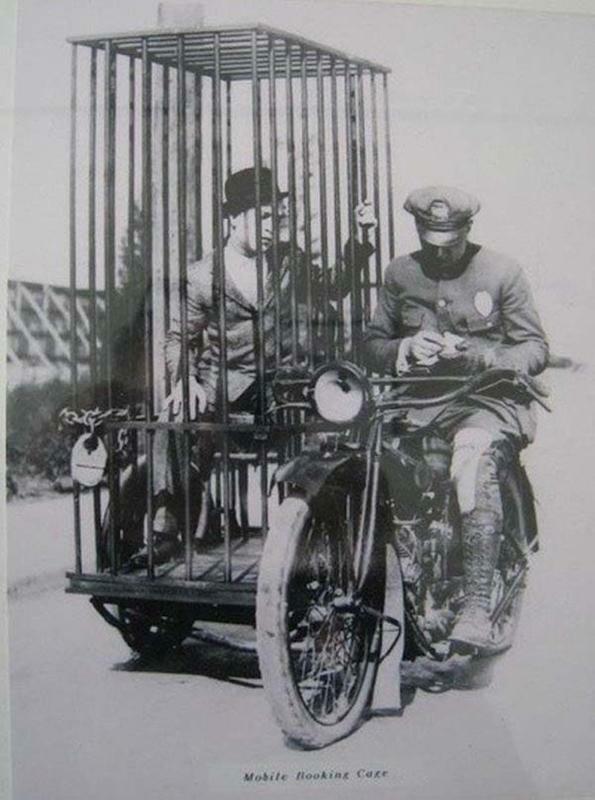 Cops have been using Harley-Davidsons since 1908, but the mobile side-car side-cage booking center was understandably short lived. Beyond how dangerous it was for both parties, especially the prisoner, it was rare that the officer would actually need to use the cell. This meant they were driving around throughout the majority of their shift with a bunch of extra weight that made it difficult to maneuver. Harley-Davidson police motorcycles have changed a lot over the years, and today they serve over 2000 departments in North America and law enforcement agencies in more than 40 countries worldwide.